The vast family of volatile organic compounds plays a central role in the chemistry of the Earth's atmosphere. Reactive Hydrocarbons in the Atmosphere provides comprehensive and up-to-date reviews covering all aspects of the behavior, sources, occurrence, and chemistry of these compounds. The book considers both biogenic and anthropogenic sources, plus their effects in the atmosphere at local, regional, and global scales. R. Friedich and A. Obermeier, Anthropogenic Emissions of VOCs. R. Fall, Biogenic Emissions of VOCs from Higher Plants. A. Guenther, Modeling Biogenic VOC Emissions to the Atmosphere. X.-L. Cao and C.N. Hewitt, The Sampling and Analysis of VOCs in the Atmosphere. P. Ciccioli, E. Brancaleoni, and M. Frattoni, Reactive Hydrocarbons in the Atmosphere at Urban and Regional Scales. 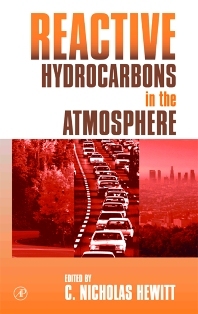 B. Bonsang and C. Boissard, Global Distribution of Reactive Hydrocarbons in the Atmosphere. R.G. Derwent, Reactive Hydrocarbons and Photochemical Air Pollution. J. Seinfeld, Global Atmospheric Chemistry of Reactive Hydrocarbons. References.